© Fred Wasmer. All rights reserved. 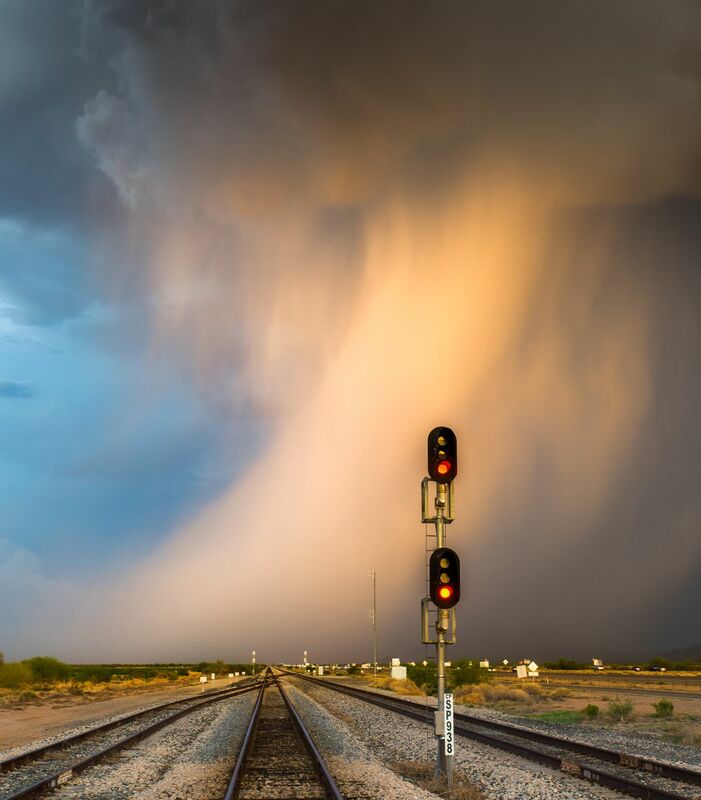 A sunlit rain shaft from a monsoon storm falls upon railroad tracks near the town of Eloy, Arizona, on the afternoon of July 28, 2018. Date Uploaded: Nov. 26, 2018, 10:55 a.m.